If you have old copper pipes at home, you may need to replace them, since the quality of the water in South Florida erodes them. Don't wait until your water tastes of copper. 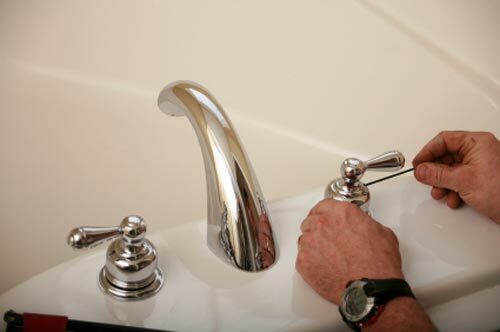 Let us check out your plumbing and let you know if it is time to redo the pipes. Some clients are tired of their bathroom and yet they cannot afford to do a complete remodel. Then, we suggest they replace the fixtures, such as faucets and taps, and the lighting fixtures. This can make a huge difference and add flair to a dull bathroom. If on the other hand, you are in a position to remodel, whether it is to increase the value of your home or because you want to improve it and live in it for years to come, we can do that too. We won't just come in and take measurements. We will ask you what you want, what your likes and dislikes are, what you use the space for, how many people share the bathroom, what ambiance and décor represent your style, and we will adapt it to your personality and to your wants and needs. As we work on your project we make sure you understand why certain things need to be done (as when we suggest you replace the rough valve in the shower if you retile the bathroom) and will suggest others. The end decision is always yours, but we will always provide you with options and find the most cost-effective way to achieve the bathroom or kitchen of your dreams.